Little is known about the side effects although there is some concern about contraindications for those with allergies or asthma. Consult your medical doctor for guidance. Lion’s mane is a mushroom and can be used in many places that you would traditionally use shitake or oyster mushrooms. It can be chopped up and made into a cream sauce as well. The first cultivation of Hericium erinaceus was in the year 1988. It took place in China where bottles and polypropylene bags were used, thus allowing for the fungus to be available year-round to consumers and practitioners of traditional Chinese Medicine. Today Yamabushitake continues to be cultivated in China and Japan, as well as Malaysia and Canada, using both modern techniques as well as cultivation using logs and stumps as the fungus would do in nature. Malaysia is a new development in the growth of Lion’s Mane mushroom as it is a tropical climate. However, research has shown that the increase in temperature has not affected the nutritional composition of the mushroom. Cultivation in Japan is done using sawdust from oak trees and other hardwood trees as well as cacao husks. The mushroom is harvested within 45 days and if not sold fresh it is air dried to preserve it and allows the mushroom to the processed into tablet or capsule form as well as into a powder for tea. Some companies (a few in Malaysia) use ovens to dry Yamabushitake. Though effective at preserving the mushroom it kills many of the beneficial properties of the fungus. Therefore, like with all things, it is important to inquire about how the mushroom was preserved. If you can’t find out, eating the mushroom fresh and adding it to cooking, soup stock or even steeping it into tea is a great way to get the amazing benefits of this mushroom into your diet. 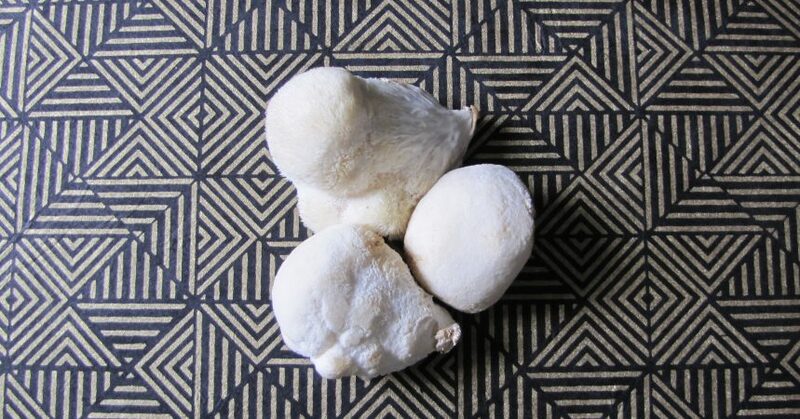 If you have heard of Lion’s Mane or Yamabushitake you will know that this wonderful white and long-haired mushroom is amazingly beneficial for the brain, digestive system, and the immune system. 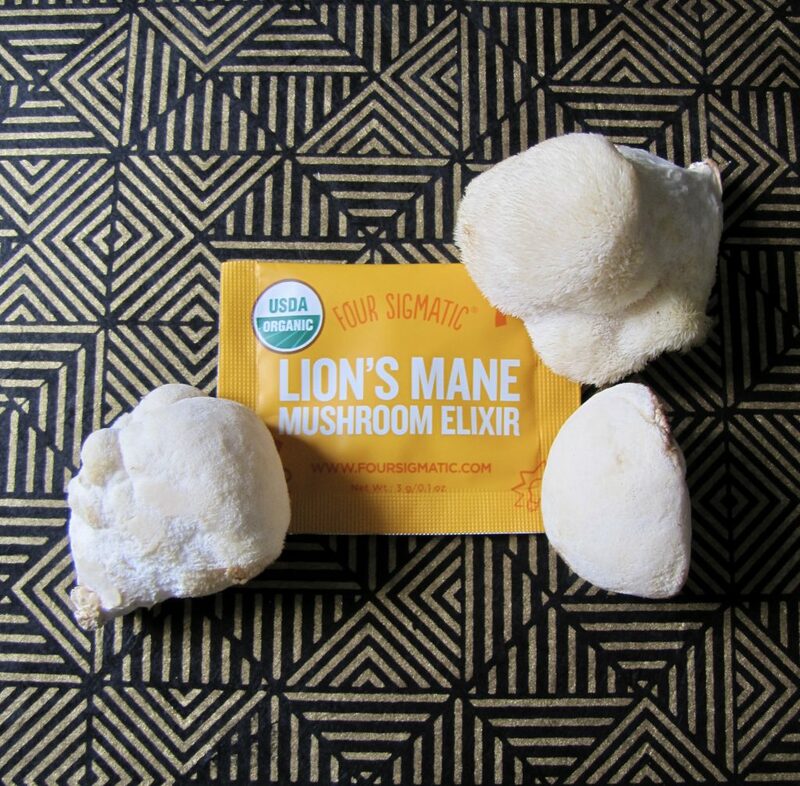 There are many compounds present in Lion’s mane that provide the mushroom with its medicinal and healing benefits. 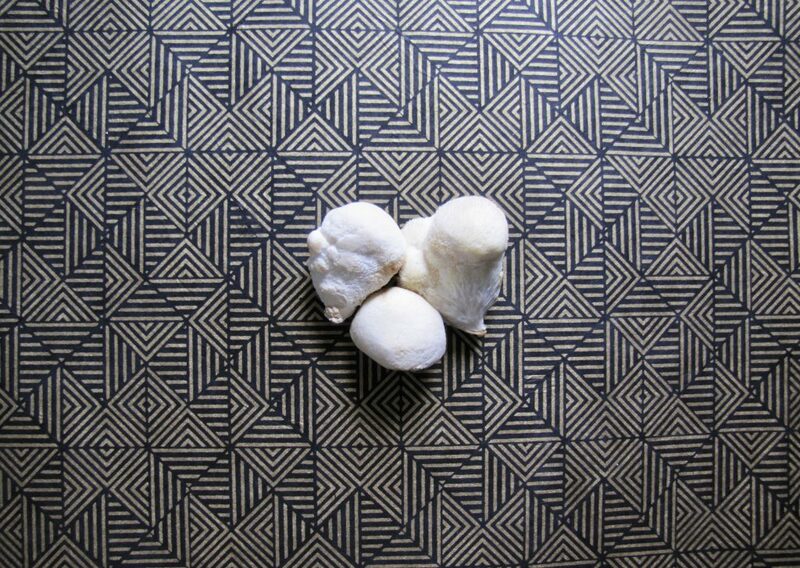 The benefits that lion’s mane is best known for is its effect on neuronal health. Lion’s mane has been shown to possess regenerative capabilities for the peripheral nervous system which consists of all the nerves that move outwards from the spine and is responsible for voluntary and involuntary actions, our sympathetic and parasympathetic nervous system is included in this as well as the functioning of the bodies most important organs, the GI tract, liver, pancreas, lungs, etc. In a 2015 study on Lion’s manes benefits for individuals with or at risk of developing Alzheimer’s or Parkinsons disease, an extract of the mushroom, approximately 50 ug/ml was administered to individuals and shown to improve the neurite outgrowth within the cells of the brain, spinal cord and the retina at an average of about 20% improvement in all three areas (Samberkar, S., et al., 2015). One of the most prolific compounds is Beta-glucan a polysaccharide, present in Lion’s Mane. Beta-glucan is a natural polysaccharide that is found within pathogenic bacteria and fungi, such as Lion’s mane. This polysaccharide aids in elevating the immune system and increasing the bodies defence against infection, it aids in increasing the effectiveness and function of macrophages and natural killer cells as well as possessing anti-cancerous capabilities. Two compounds in lions mane, hericenones and erinacines have been shown to reduce cell proliferation, aids in inducing cell apoptosis all of which are beneficial in preventing and treating cancer. Erinacines also aids in nerve repair, reduce endoplasmic reticulum stress as well as neurodegenerative cell death. An effective immunomodulatory, boosting the immune system, working as an antioxidant and providing nerve protection. The fruit bodies of Lion’s Mane Hericium erinaceus contains hericenones which, depending on how the fungus is treated, can to an extent provide NGF (Nerve Growth Factor). Erinacines, which are found in the mycelium (root) of the mushroom, has a far greater potential for NGF. Both are low molecular in weight and are able to pass through the blood-brain barrier. These compounds aid in enhancing neurogenesis and hippocampal neurogenesis which aids in preventing anxiety and depression. Erinacines, the compound in lions mane has been shown to provide nerve repair for accident victims, a daily dosage can promote the regeneration of injured nerves during the early stages of recovery. This makes Lion’s Mane very beneficial for individuals who have had any head injury. The smallest pressure placed on the head will to even a small degree affect the brain, an injured brain take a long time to heal. Lion’s Mane has a fantastic impact on Inflammatory Bowel Disease (IBD) the anti-inflammatory benefits of polysaccharides and other secondary compounds such as sterols and terpenoids reduce oxidative stress, help to rebuild microbial flora and repair intestinal barrier integrity. By bringing back integrity to the digestive tract, the healing of the blood-brain barrier can begin, inflammation systemically is reduced positively reducing the development of Alzheimer’s and Parkinson’s (Re, Y., et al., 2018). Several studies have shown that Lion’s Mane extract improves fat metabolism and lowers triglyceride levels, which is beneficial to hearts. Since fat, as well as triglyceride levels are a significant factor in heart disease it would follow that Lion’s mane would promote heart health. Since Lion’s Mane increases fat metabolism it is possible that it can help promote weight loss. No clinical studies involving humans have been performed. Lion’s mane ability to reduce anxiety and stress can have a positive effect on weight loss. 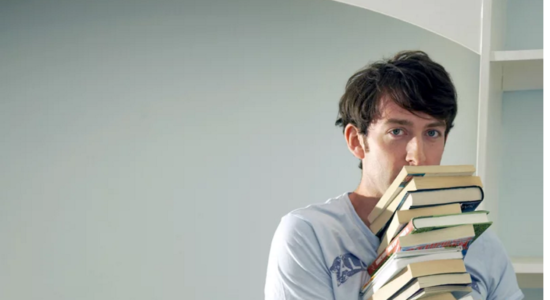 Depression and anxiety can lead to over-eating. The reduction in anxiety or depression can have a positive effect in promoting healthy eating habits. A strong immune system is important for fighting off infectious diseases, bacteria or any other pathogen. Lion’s mane has been shown to promote a healthy digestive tract as well as increasing the activity of the intestinal system. A well functioning intestinal system is important in fighting off any bacteria, viruses or pathogens you may consume. In one animal trial, Lion’s mane quadrupled the expected lifespan of mice that were injected with the salmonella bacteria, although no human clinical trials have been performed. The reported reductions in depression and anxiety could potentially result in an overall decrease in cortisol – the stress hormone. Continued exposure to cortisol results in body fatigue – which means that your body does not function as well as it should and cannot fight off infections or bacteria. Human clinical trials have shown that lion’s mane shows a cognitive improvement for elderly that suffered from mild cognitive impairment – such as early onset of Alzheimer’s. As humans age the ability to rebuild neural networks and form new connections in the brain gets worse. This explains why elderly people tend to suffer from cognitive impairment as well as dementia. Lion’s mane ability to promote neural generation and reduction in oxidative damage can help explain why there is a positive effect for people who suffer from dementia. 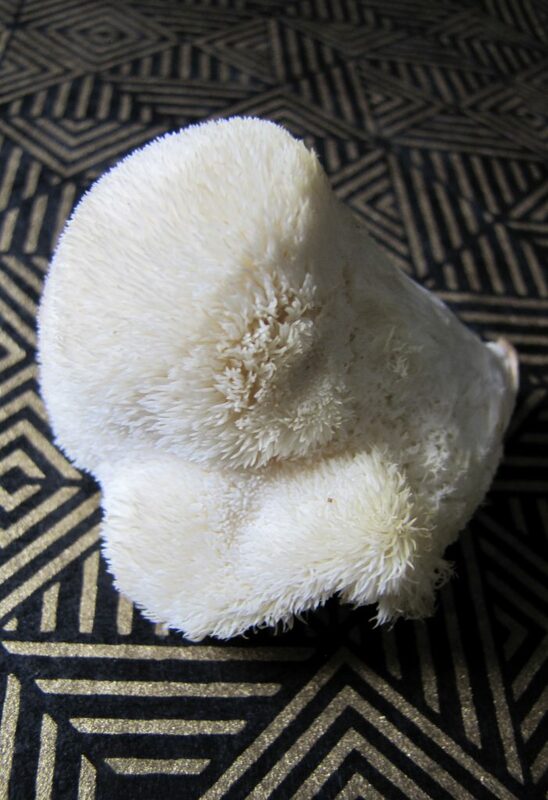 Hericium erinaceus is a very delicious mushroom and works perfectly as a substitute for mushrooms you may usually use such as shiitake, white mushrooms or oyster mushrooms. It may seem a little daunting to try sometime new, but trust me, it will be delicious! I picked up some lion’s mane at my local farmer’s market a month or so ago and have been getting it every week since. It is easy to use and you feel great after eating whatever you make with it. 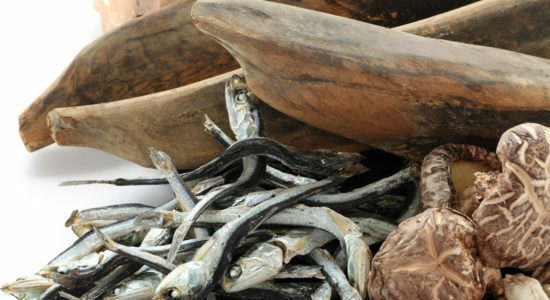 They work well in sauces and stir-fry as well as by themselves fried in a pan in coconut oil or butter. Hericium erinaceus can also be added to soup stock to enhance both the flavour and the nutritional benefits of the stock. If cut up finely they can also make a perfect additive to a vegetable soup, mushroom soup or any other type of hearty soup. If gently steeped, just as in a soup stock, lion’s mane is a great additive to teas. Let the fungus sit in hot water overnight and afterwards you will have a wonderful elixir to add to teas, coffee or smoothies. If you can’t wait that long, let it steep for between 5-10 minutes, perhaps combine it with a herbal fruit tea and sit back and enjoy the brain stimulation. 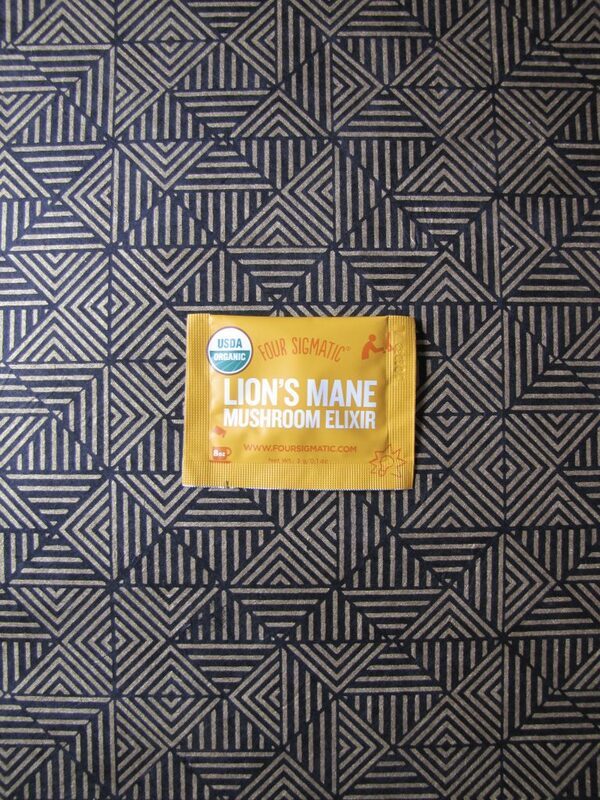 The best way to reap the benefits of Lion’s Mane is to consume the fresh mushroom. Processing of Lion’s Mane (as stated previously above) affect the neurite stimulating activities of the fungus. Not standardized cultivation techniques and conditions may affect the medicinal properties as well. Furthermore, always make sure the whole mushroom is used – down to the root and that if preserved lion’s mane has been air dried. Lion’s Mane is low in calories (approximately 24 kcal per 100g), and for every 100 grams, the fungus contains 3.6 g of carbs and 2.4g of protein. The best way to incorporate this beneficial food into the body is through diet, consuming the fresh fungus in everyday meals. However, sometimes it is not always the most convenient route. There are a lot of great products on the market that provides a very good source of lion’s mane, below are a list of a few that I personally find work and taste great. I love this product, it is so very versatile and delicious. The nutrients are properly extracted and each packet contains 1,500 mg of Hericium erinaceus, 30% of which is polysaccharides. This makes this wonderful, little orange packet a mega brain booster. Try throwing it into your morning coffee, tea, smoothie or even breakfast cereal and bliss balls. The combination of anise, peppermint, and stevia provide a subtle hint of sweetness and an additional aid for balanced digestive health. This freeze-dried organic lion’s mane supplement is each to take and carry with you as it comes in a capsule. It contains a high amount of polysaccharides as well as a host of beneficial plant secondary compounds. It also contains a large amount of mycelium (the fungus root), thus it has a high amount of erinacines making it an overall incredibly beneficial supplement for nerve regeneration, antioxidant aid, and many other wonderful health benefits. This is another fantastic product. Not only does it contain the beneficial mycelium of Hericium erinaceus it also contains the mycelium of reishi, chaga and poria. 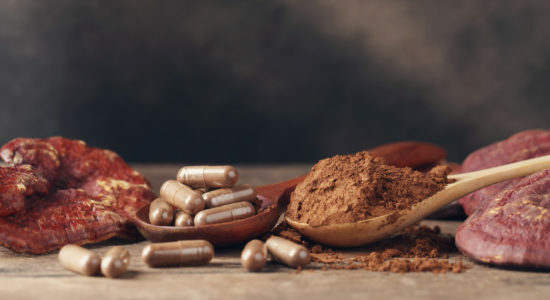 One received the amazing nerve, immune, digestive etc benefits of lion’s mane along with the calming effects of reishi, the immune boosting power of chaga as well as the anxiety-reducing benefits of poria. See which product you like best and begin including lion’s mane into your daily routine. You may not feel the change right away but note how you feel after taking it continuously for one week. Abdulla, M. A., Fard, A. A., Sabaratnam, V., Wong, K., Kuppusamy, U. R., Abdullah, N., & Ismail, S. (2011). Potential Activity of Aqueous Extract of Culinary-Medicinal Lion’s Mane Mushroom, Hericium erinaceus (Bull. : Fr.) Pers. (Aphyllophoromycetideae) in Accelerating Wound Healing in Rats.International Journal of Medicinal Mushrooms,13(1), 33-39. Online Available at PubMed. Bing-Ji Ma , Jin-Wen Shen , Hai-You Yu , Yuan Ruan , Ting-Ting Wu & Xu Zhao. (2010). Hericenones and erinacines: stimulators of nerve growth factor (NGF) biosynthesis in Hericium erinaceus. Mycology, 1:2, 92-98. He, X., Wang, X., Fang, J., Chang, Y., Ning, N., Guo, H., . . . Zhao, Z. (2017). Structures, biological activities, and industrial applications of the polysaccharides from Hericium erinaceus (Lion’s Mane) mushroom: A review.International Journal of Biological Macromolecules,97, 228-237. Online Available at PubMed. Hiwatashi, K., Kosaka, Y., Suzuki, N., Hata, K., Mukaiyama, T., Sakamoto, K., . . . Komai, M. (2010). Yamabushitake Mushroom (Hericium erinaceus) Improved Lipid Metabolism in Mice Fed a High-Fat Diet.Bioscience, Biotechnology, and Biochemistry,74(7), 1447-1451. Online Available at PubMed. Khan, M. A., Tania, M., Liu, R., & Rahman, M. M. (2013). Hericium erinaceus: an edible mushroom with medicinal values.Journal of Complementary and Integrative Medicine,10(1). Online Available at PubMed. Lai, P., Naidu, M., Sabaratnam, V., Wong, K., David, R. P., Kuppusamy, U. R., . . . Malek, S. N. (2013). Neurotrophic Properties of the Lions Mane Medicinal Mushroom, Hericium erinaceus (Higher Basidiomycetes) from Malaysia.International Journal of Medicinal Mushrooms,15(6), 539-554. Li, W., Zhou, W., Kim, E.J., Shim, S.H., Kang, H.K., Kim, Y.H. (2015). Isolation and identification of aromatic compounds in Lion’s Mane Mushroom and their anticancer activities. Food chemistry. Volume 170, page 336-342. Liang, B., Guo, Z., Xie, F., & Zhao, A. (2013). Antihyperglycemic and antihyperlipidemic activities of aqueous extract of Hericium erinaceus in experimental diabetic rats.BMC Complementary and Alternative Medicine,13(1). Online Available at PubMed. Mori, K., Inatomi, S., Ouchi, K., Azumi, Y., & Tuchida, T. (2009). Improving effects of the mushroom Yamabushitake (Hericium erinaceus) on mild cognitive impairment: a double-blind placebo-controlled clinical trial.Phytotherapy Research,23(3), 367-372. Online Available at PubMed. Mori, K., Ouchi, K., & Hirasawa, N. (2015). The Anti-Inflammatory Effects of Lions Mane Culinary-Medicinal Mushroom, Hericium erinaceus (Higher Basidiomycetes) in a Coculture System of 3T3-L1 Adipocytes and RAW264 Macrophages.International Journal of Medicinal Mushrooms,17(7), 609-618. Online Available at PubMed. Ren, Y., Geng, Y., Du, Y., Li, W., Lu, Z.W., Xu, H.Y., Xu, G.H., Shi, J.S., Xu, Z.H. (2018). Polysaccharide of Hericium erinaceus attenuates colitis in C57BL/6 mice via regulation of oxidative stress, inflammation-related signalling pathways and modulating the composition of the gut microbiota. The Journal of Nutritional Biochemistry. Volume 57, Pages 67-76. Sabarathnam, V., Kah-Hui, W., Naidu, M., & David, P. R. (2013). 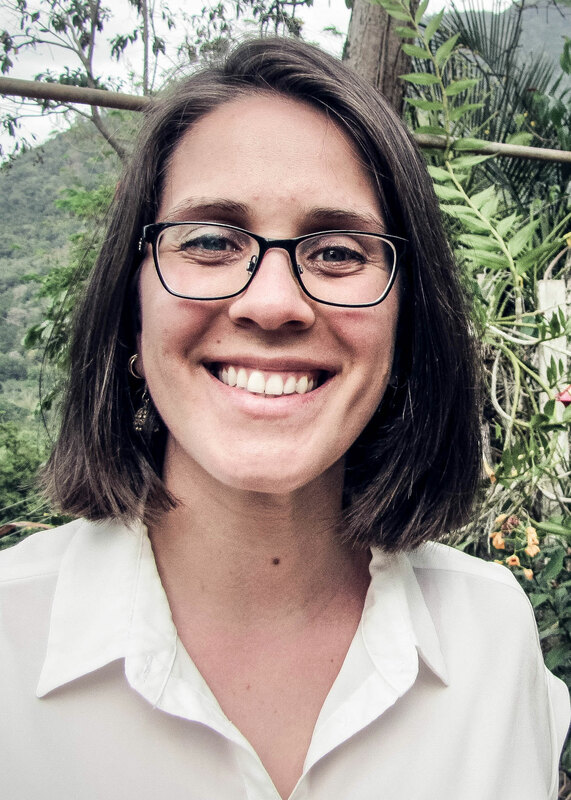 Neuronal Health – Can Culinary and Medicinal Mushrooms Help? Journal of Traditional and Complementary Medicine,3(1), 62-68. Online Available at PubMed. Samberkar, S., Gandhi, S., Naidu, M., Wong, K.H., Raman, J., Sabarotham., V. (2015). Lion’s Mane, Hericium erinaceus and Tiger milk, Lingosus rhinocerotis (Tiger Basidiomyceler) Medicinal Mushrooms Stimulate Neurite Outgrowth in Dissociated cells of Brain, Spinal Cord and Retina: An Invitro Study. International Journal of Medicinal Mushrooms. Volume 17, Issue 11, Pages 1047-1054. Wang, M., Konishi, T., Gao, Y., Xu, D., Gao, Q. (2015). Anti-gastric Ulcer activity of Polysaccharide Fraction Isolated from Mycellium Culture of Lion’s Mane Medicinal Mushroom Hericum erinaceus (Higher Basidiomycetes). International Journal of Medicinal mushrooms. Volume 17, Issue 11. Wong, K., Naidu, M., David, R. P., Bakar, R., & Sabaratnam, V. (2012). 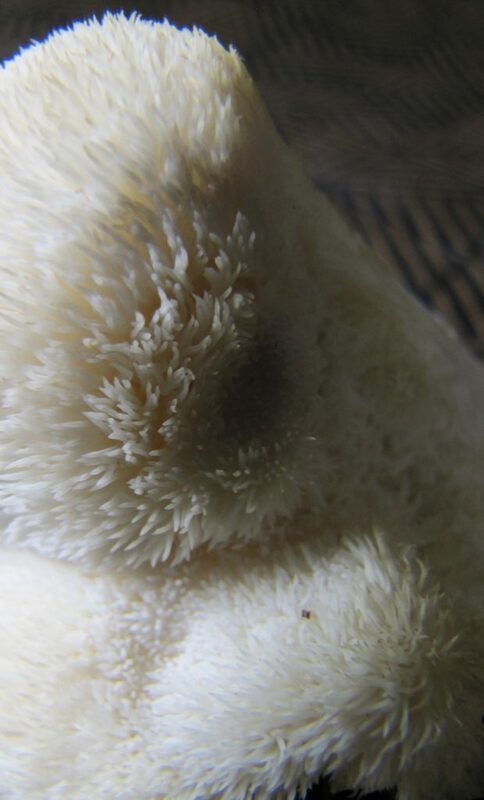 Neuroregenerative Potential of Lion’s Mane Mushroom, Hericium erinaceus (Bull. : Fr.) Pers. (Higher Basidiomycetes), in the Treatment of Peripheral Nerve Injury (Review). International Journal of Medicinal Mushrooms, 14(5), 427-446. Online Available at PubMed.